Awnings form an important part of our outdoor aesthetics and they have quite a job to do as well. If you have an awning that could do with a bit of TLC, it may be that it needs reskinning. Australian weather conditions impact greatly on our homes and it is not surprising that awnings become tired looking or even damaged. Reskinning is the easy and affordable way to fix your awnings without having to replace them. Here are 5 reasons to consider reskinning for your home or commercial environment. Queensland weather can be unpredictable and storms are common during many parts of the year. As awnings are outdoor fixtures, they often endure the most forceful weather. But damaged awnings do not need to mean expensive and time-consuming replacements. Awnings can simply be reskinned. This allows the weather-damaged fabric on your awning to be replaced, rather than the entire structure. 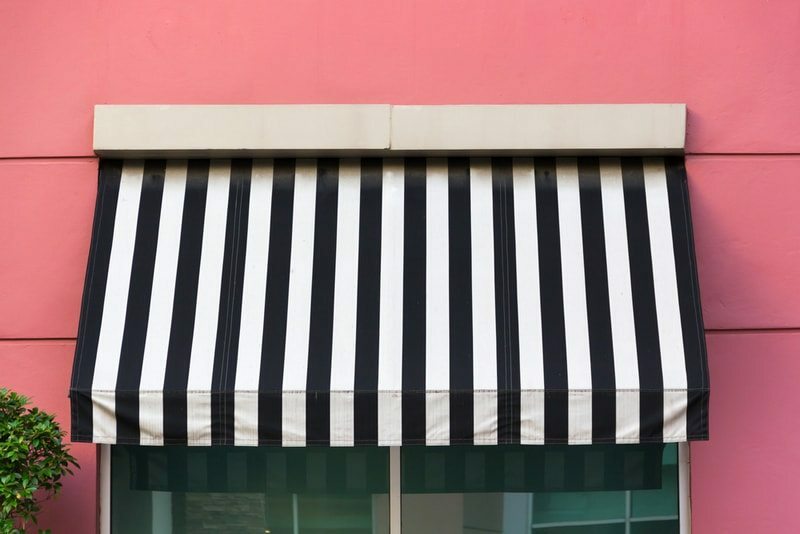 Awnings often come in bright, striking patterns and look fantastic when they are fresh. But after years in the weather, it is only natural that they can begin to look tired. Reskinning an awning is an affordable and rewarding means of restoring them as a feature you can be proud of and enjoy in your home or business. Mould or mildew stains are sometimes unavoidable when your fabric is exposed to weather. They can be hard to remove completely and can make the awning appear drab and neglected. Mould spores in fabric can also spread to other parts of the building. Restoring awning fabric is a positive and healthy enhancement for your property. If you have recently redecorated, painted, or added garden features, it may be that your awnings no longer match the new ambience you have created. A refurbished garden filled with bird-attracting natives and an elegant water feature isn’t going to look its best with tired, dated awnings. Clean simple colours can easily be fixed to your existing awning mechanism to complete your new look. If the awning structure itself hasn’t been damaged, the process of reskinning is uncomplicated. You simply choose fabric from our wide range of choices and swap out your existing material. Awning fabrics are designed in a spectrum of colours, from neutral tones such as light grey, beige or cream to the brightly coloured festive styles and classic stripes that bring energy and individuality to your outdoor areas. If you feel it’s time to revive your awning, this might be a great opportunity to create a new energy around your outdoor areas. Reskinning an awning is an affordable and rewarding process, with some inspiring design benefits. Contact us today and we can talk you through the reskinning process, costs, and your design options.